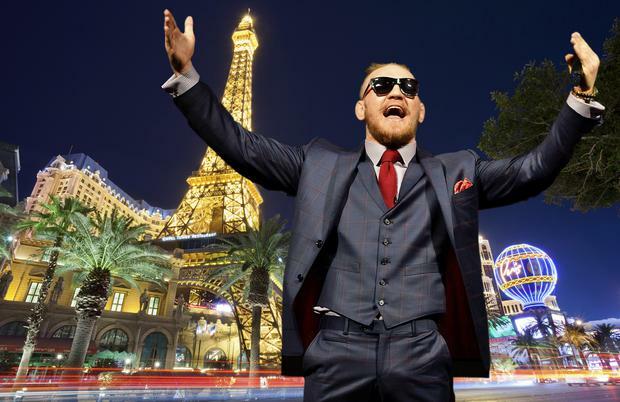 Conor McGregor in Las Vegas (composite image). After fighting boxers and buses, Conor McGregor finally returns to the UFC octagon on October 6 in Las Vegas. 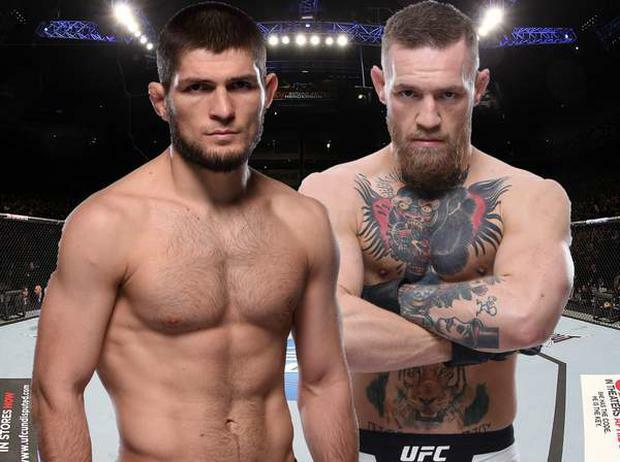 The MMA fighter takes on undefeated lightweight champion Khabib Nurmagomedov at the MGM Grand's T-Mobile Arena in a hotly anticipated bout. As McGregor's first UFC fight since November 2016, this one was always going to be big - but bad blood between the fighters has pumped the hype up to ninety. Nurmagomedov took McGregor's 155lb title in April, after it was stripped due to inactivity. Here's the pick of packages from Irish tour operators and travel agents - just bear in mind that flights are not direct (there are no direct routes from Ireland), fight tickets are not included, and lead-in prices are based on shared rooms. Cassidy Travel has a weekend package including four nights at the 3-star Stratosphere from €619pps, with flights from Dublin departing October 3. 01 8735000; cassidytravel.ie. Shandon Travel has three-night packages departing October 5th from €715pp, with accommodation at the 3-star Stratosphere Hotel, Casino and Tower. A student rate, however, starts from €655pp. 021 427-7094; itaa.ie/offers; shandontravel.ie. ITAA member Bowe Travel, based in Thurles, Co. Tipperary, has a three-night flight and hotel package departing October 5th, including accommodation at the 3-star Circus Circus, from €659pp. 0504 22200; bowetravel.ie. GoHop.ie has an October 5th departure including flights and three nights at the 3-star Stratosphere from €705pp, based on two people sharing. 01 241-2389; gohop.ie. American Holidays has return flights from Dublin via London departing October 5th, with four nights at the 3-star Excalibur from €743pp. Ref: 1580005. 01 673-3840; americanholidays.com. GoHop.ie has flights from Dublin and three nights at the 4-star Hard Rock Hotel & Casino from €767pp, departing October 6th (arriving at 3.50pm in Sin City). The 4-star Mandalay Bay is priced from €776pp. 02 241-2389; gohop.ie. For a five-night stay, Tour America has return flights and accommodation at the 3-star Excalibur from €769pp. The trip departs October 3 (ref: 631301). 01 817-3535; touramerica.ie. Sunway's package includes return flights and accommodation at the 3-star Circus Circus based on two people sharing (Ref: IV1024618/2). 01-2311800; sunway.ie. NB: Daily resort fees of US$30 and upwards are payable in Vegas, which can add to costs. All prices subject to availabilty.